Each Thursday from 3–5 p.m. MST we're going to have a super extra special sale. It's called Bottoms Rupp, in honor of your esteemed host, Name.com Account Manager John Rupp. He's going to pour himself a beer and then announce a promo code for big savings on domains, products, and services. 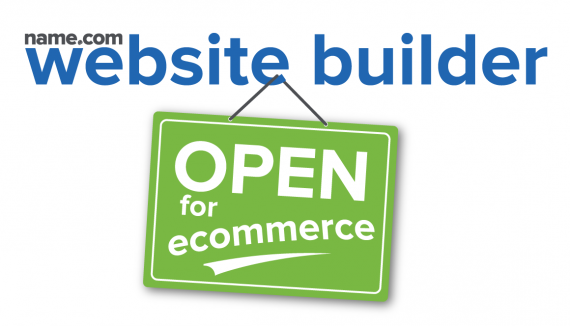 You can now use the Name.com website builder to create a secure online store and sell your products online! Online store templates look great on any device. You can build a catalog with unlimited products, accept payment from credit cards or PayPal, and manage your shipping and deliveries. It's available on the Business tier of website builder plans. And BTW, did you know the website builder includes templates for specific businesses and professions, like dentists, lawyers, and restaurants? Since this month will feature a five-digit pi day—3.14.15—your March 2015 retail promo code 31415. Use the promo code at checkout for $10.25 .COM and .NET registrations and renewals. Then multiply it by the diameter of a circle to find the circumference. And this month, the code also works for a 25% discount on .SOCIAL and .REVIEWS registrations. The promo code is valid through March 31, 2015. We are pleased to announce a new dedicated server special from our high-end only subsidiary QuadIX. The server package is a Dual CPU, 6 Core/12 Thread Intel® Xeon® Processor X5650 (12M Cache, 2.66 GHz, 6.40 GT/s, 48 GB ECC Memory (upgradable to 72+ GB), a FREE 250GB SSD Hard Drive (upgradable to several drives), 1 Gbps burstable port and comes standard with Dell DRAC remote management for as low as $47.95.